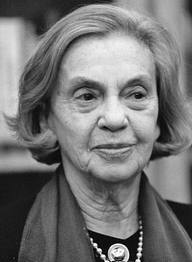 Sophia de Mello Breyner Andresen (1919—2004) is considered Portugal's finest, 20th century, female poet. Besides writing her own poetry, she is known for her children's books, and her translations of Shakespeare and Dante into Portuguese. She was raised a Catholic, and remained devout all her life. In 1999 she became the first woman to receive Portugal's highest poetry honour: The Prémio Camões. She has said, “Poetry is my understanding with the universe, my way of relating to things, my participation in reality, my encounter with voices and images. That is why the poem speaks not of an ideal life but of a concrete one”. The following poems were translated by Richard Zenith.